Irma Ruth Cavanaugh, age 87, of Shepherd, Texas, passed away unexpectedly on Thursday evening, September 13, 2018 in the emergency room at Spectrum Health-United Hospital in Greenville. Born on September 25, 1930, in Dallas, Texas, Irma had worked in health care as a nurse, a respiratory therapist, and in private home care. She enjoyed fishing, listening to country music, watching Gunsmoke, Walker-Texas Ranger, and WWE wrestling, but most of all she delighted in spending time with her family. She was preceded in death by her husband, Roy John Bailey Cavanaugh on August 18, 2009; and a son, Gladney "Otis" Reis on March 19, 2015. 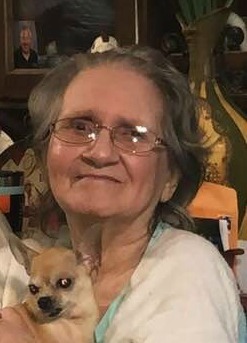 Surviving are her children, Frank "Poncho" & Carol VanWagoner of Conroe, Texas, Olivia & Rocky Sims of Shepherd, Texas, and Ray & Linda Transeau of Greenville; ten grandchildren; several great-grandchildren; and one great-great grandson. Memorial services will be held at 2:00 p.m. on Saturday, September 22, 2018 at the First Church of God, 101 S. Franklin Street, Greenville, with Pastor Bob Cooper officiating. A luncheon will follow and burial will take place later at Houston National Cemetery in Houston, Texas. To send a message of sympathy to the family, sign Irma's online guest book, or to share a favorite memory, please visit: www.ChristiansenCares.com Arrangements were entrusted to Christiansen Cremation & Funeral Care, Greenville.